If you’re thinking of selling on Amazon, or (shameless plug) trying to grow your Amazon revenue, you know that sponsored products are the primary advertising placement for Amazon sellers within Seller Central. And within Amazon, paid placement can play a doubly important role in your overall success. If you want to take a broader look at what it takes to effectively market your business on Amazon including UX, organic ranking, and sponsored products (Amazon PPC), this article is a great companion piece. First and most obviously, sponsored product sales increase your visibility and revenue in the form of direct sales. But second, because Amazon awards better organic placement or “rank” to products or companies that have higher overall sales velocity, an aggressive and effective sponsored product strategy can literally earn you higher organic visibility to boot. I’ll say that again, selling more via paid ads on Amazon will actually increase your organic rank in their marketplace. This is a huge difference between more traditional SEO + PPC, where search engines effectively separated Church and State. Your paid search performance on Google has absolutely no bearing on your site’s organic rank. But on Amazon, you can literally buy your way to better organic rankings through well-targeted advertising. With that in mind, let’s talk about building a killer Sponsored Product Campaign. An Important PSA: Paid advertising is absolutely not the only thing that drives your organic rank in Amazon. To learn more about organic ranking factors on Amazon, I’d recommend this primer about marketing on Amazon in general. Where do Sponsored Product Ads appear? As a set of products in a placement that blends paid and organic product listing results. You’ll notice all of these screenshots also show “headline search ads.” That’s actually a completely different ad type that we’ll address in a follow-up post. Beyond showing up in Amazon’s search results, your ads are also eligible to show up on individual product pages. Those could be a complementary product, on your own product pages, or even on a competitor’s product page like the one shown below. 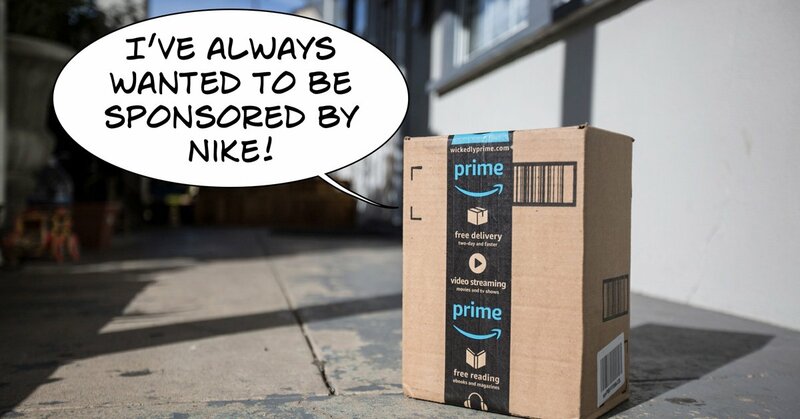 The bottom line is, sponsored products are everywhere on Amazon, other sellers are taking full advantage of them, and you should too. What makes an effective Sponsored Product strategy? If you want to get the most out of sponsored product advertising, there are few overarching things to keep in mind. If you have budget limitations prioritize your products. Start with (or lean into) your top sellers or most popular items first to kick start your advertising. Build profitability and credibility before trying to sell every last thing in your inventory. Over time, expand to your wider catalog. The end goal should be to advertise all your products and at a profitable ACoS (Advertising Cost of Sale). Amazon has two different campaign types to choose from as you start: automatic campaigns and manual campaigns. Automatic campaigns are auto targeted and do not have keywords. By using this campaign-type, you’re allowing Amazon to target your ads based on how it perceives your products (i.e. the keywords and content in your listing). Manual campaigns by comparison have keywords with match types that you can choose, a lot more like traditional SEM or paid search marketing (PPC). Both campaign types have pros and cons so in order to give the best coverage we typically recommend advertising or targeting each product twice if it’s valuable, once in each campaign type. Manual campaigns give you the greatest control, so if you’re confident in your targeting and setup, these campaigns should get higher bids in general. Use these campaigns to target keywords you are confident will be high performing. Automatic campaigns by comparison work well to cast a wide net and can be an effective way to prospect for new keywords that your audience is using to shop. As a general rule, you’ll want to bid lower in automatic campaigns. Also, be sure to use the negative keyword functionality to ensure ads are reaching as many of the right people as possible, even when you’ve more or less given the targeting reins to Amazon. In general, we recommend you give each product you’re advertising its own ad group. This allows you to better control a number of different things around your keyword targeting, negative keyword targeting, and more narrow bidding strategies. Important: this requires additional setup, so read the Negative Keywords section below. If you have ASINs that are hyper similar, combining these products into single ad groups can make sense. But as a rule we typically see better results for our clients by separating these out to provide the ability to optimize with greater precision. When selecting keywords for your manual campaigns, it’s unwise to simply copy your keywords from search engine marketing efforts. Instead, you should invest the time to do Amazon and shopping engine specific keyword research. Google and Amazon will very often differ in what keywords produce the best results, precisely because user or shopper intent is generally different on each. Much to Google’s concern, shoppers still tend to do a lot of early information gathering and category research on search engines, before turning to Amazon or other shopping platforms to research pricing, availability, and ultimately purchase. Tools like MerchantWords and Seller Labs Scope are great for this kind of shopping-specific keyword research. Also, “steal” from other parts of your copy where it makes sense. For instance, if you or a co-worker have already written descriptive copy for your product listings, hopefully you did a bit of thinking and research to align that description with what people were searching. Voila! As a general rule, avoid broad match keywords as part of your manual campaigns. More specific match types like phase and exact match will give you more control. And of course you already have that matching automatic campaign for each product set to cast the wide yet optimized net we talked about above, right? Short version: use ’em. Negative keywords are a hugely important part of an effective sponsored product campaign (or any other pay per click campaign for that matter). At the extreme, they’re your only line of defense from potentially wasted spend in automatic campaigns. And in manual campaigns, even with great initial targeting, they’re extremely helpful in proactively avoiding missteps or waste. Important: Negative keywords are also a necessary part of the dual campaign structure strategy we’ve recommended here. If you’re intentionally targeting products twice (once in each campaign type) then all keywords in the manual campaign should be negatives for your automatic campaign. Done right, this will prevent crossover between the two campaigns, and should funnel traffic where you intended it to go. As of this writing, Amazon’s reporting for advertising is pretty barebones, and provides almost no historical context (they only store 90 days worth of performance data). Create your own reports and export the data from Amazon monthly/weekly/daily. Whatever your reporting needs call for. Yes, we realize this is a bit painful if you’re used to Google’s AdWords or Google Analytics platforms. But if you aren’t downloading reports regularly, you will lose the data. This is marketing 101, but you need to set clear goals for products based on things like margins, revenue, etc. Having a clear understanding what you’re trying to accomplish, setting the right KPIs, and measuring that relentlessly is critical to your success. Do you have strict ACoS goals? Conversely, would you be comfortable sinking money into a high ACoS campaign or product to increase sales velocity and ultimately your organic rank? Have a plan, goals, and clear-eyed reporting so you can pivot if you’re falling short of the initial expectation. Overall, Amazon advertising isn’t particularly complex compared to the myriad settings and structures offered by other advertising platforms like AdWords (for now…). But with that lack of sophistication comes both opportunity for serious growth, as well as added competition from less educated competitors. Here’s to making sure you’re in the right group.